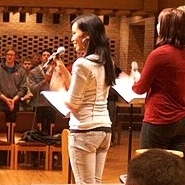 Christians from around the world came to the Calvin Symposium on Worship in Grand Rapids, Michigan the last week of January, 2011. They sang together at numerous worship services, vespers and workshops, joyfully joined by their unity of faith. But for many, the songs of The Psalm Project from the Netherlands evoked an even deeper connection, like that of a reunion - a homecoming. Three musicians from this Dutch group joined forces with local musicians to introduce contemporary versions of a dozen Genevan psalms. The melodies and texts of these psalms, still clearly sounding in the fresh arrangements, brought tears to the eyes of many, because of their association with a covenant of faith going back generations. 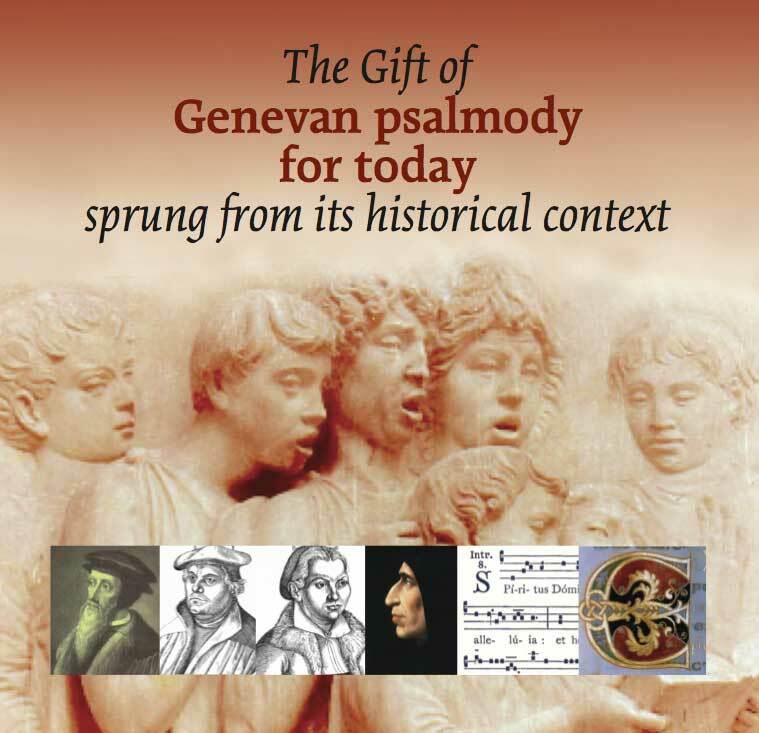 The Psalm Project is multi-cultural (like the Genevan psalms themselves) but the driving force behind it is a deeply rooted, Dutch tradition (unbroken for 450 years), of singing from the psalm book that John Calvin compiled in Geneva. This tradition, transplanted by Dutch immigrants to North America where it has since been largely lost, has been waning steadily in Holland as well. 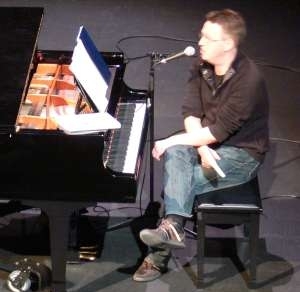 Eelco Vos, the composer and pianist for The Psalm Project, stands in this tradition. 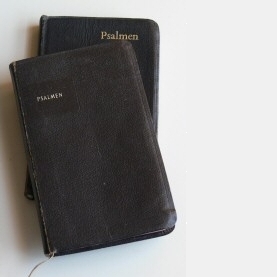 He brought along, to show at the Symposium, the small, well-worn 'Psalmen' book that he got from his grandfather on his fifth birthday, and from which he had to regularly memorize verses. As a child and teenager, these psalms seemed to him remote from the modern world, while still echoing the strong faith of the many generations that have sung them. Eelco wanted to preserve this treasure when he first set out to make contemporary arrangements of some Genevan psalms. 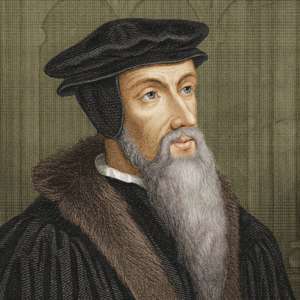 In one of the Symposium workshops he explained how musical language has developed since Calvin's day, and how arrangements can be made to make old songs accessible to modern audience. These include such things as simplifying the tonality, adding development to the song with choruses and bridges, and keeping the text modern and straight-forward. 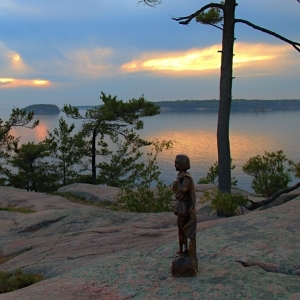 The results are richly rewarding. For the many who have grown to appreciate popular styles, guitars, percussion and other instruments in worship, The Psalm Project settings seem natural, even while the ageless beauty of the texts and melodies make them sublime. During the ten day family reunion of The Psalm Project with folks in Grand Rapids, Michigan, this was experienced over and over again. The Psalm Project left behind a memento - the newly minted CD of thirteen of their psalms sung in English. (You can watch music videos of four of these by clicking the Psalm links on the left.) These are wonderful to listen to, and as worthwhile having as any WOW CD. But the psalms are meant for singing and the real hope is that they find their way into worship services where they can inspire new shoots from our spiritual and cultural roots.